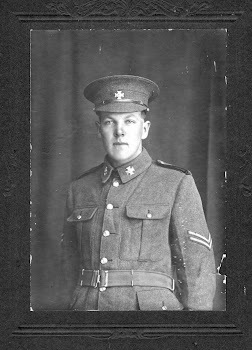 At this point I will pause from writing out Grandad's letters to show you some photos. These two photos are from Grandad's (D.R. McLean's) photo album. I've enlarged, sharpened, and cropped both of them to make the subjects more easy to see, as the old photos are very small, and are faded after all this time. Neither of the photos have dates, but they have captions that give some context. 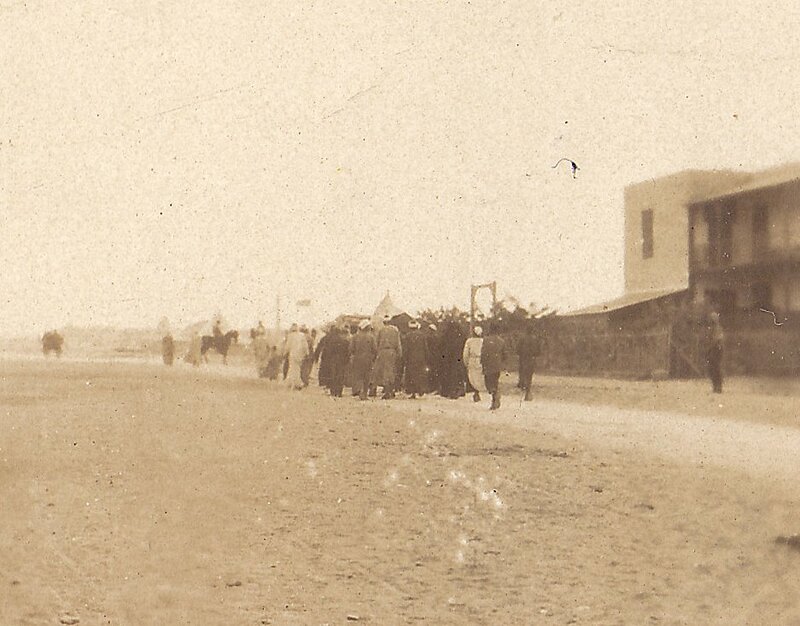 In the photo album, the photo below is captioned in Grandad's neat handwriting, "Off to Cairo", so I assume this was either when they disembarked from their troopship, or when they left Zeitoun after their brief training camp. 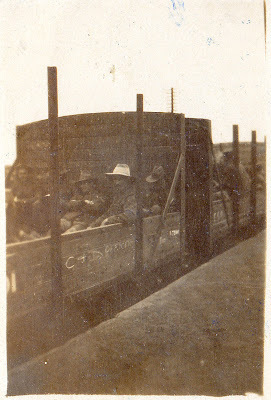 I must say I find the sight of soldiers sitting in cattle cars very poignant, it certainly gives a clearer mental picture of what Grandad meant when he wrote "We went by train". The one below was captioned, 'A Native Funeral - Zeitoun'. At this point in proceedings, before any real fighting, this whole escapade must have felt like the big OE for these young men. This photo reminds me of that, his fascination for a different culture- it almost feels like a holiday snapshot.